The Syrian army is shelling terrorists in the village of Maarkaba and on farms around the town of Murek in northern Hama, a Rossa Primavera News Agency source in Syria reports on December 24. Earlier, “Syrian army units reported a ceasefire violation by terrorists near the village of Murek in northern Hama”. Several militants were killed in the Syrian army shelling. The Syrian army attacked terrorist groups maneuvering near the village of Ruweida and farms near the town of Murek in Hama province with rockets and artillery. Syrian army units, located in the area of Mahrada in Hama province, acted similarly. 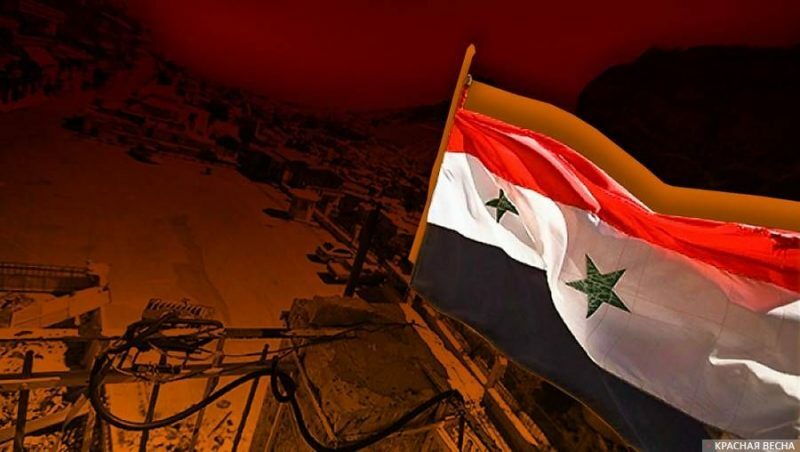 The Syrian army reacted to the violation of the ceasefire regime with shelling of terrorist network near villages of Tel Al-Sakhr and Ash-Sharqiyah. A number of terrorists were killed. Earlier, “Syrian army attacked the positions of terrorists in settlements of Az-Ziyar, Machik and Tel Vasit near Sahl Al-Ghab area in western Hama,” reports the source. US President Donald Trump had earlier announced the US withdrawal from Syria. He noted that Turkey will finish the fight against the terrorists. “President Erdogan of Turkey has very strongly informed that he will eradicate whatever is left of ISIS (organization banned in Russia) in Syria… and he is a man who can do it plus, Turkey is right ‘next door’. Our troops are coming home!” wrote Trump on December 24 on his Twitter page. This entry was posted in News from Ukraine and tagged Classical War, Syria, Turkey, USA. Bookmark the permalink.